Their bites can cause extremely itchy welts, painful rash or an outbreak of dermatitis. No mites can spread to or from attached houses, adjacent apartments or condo units. 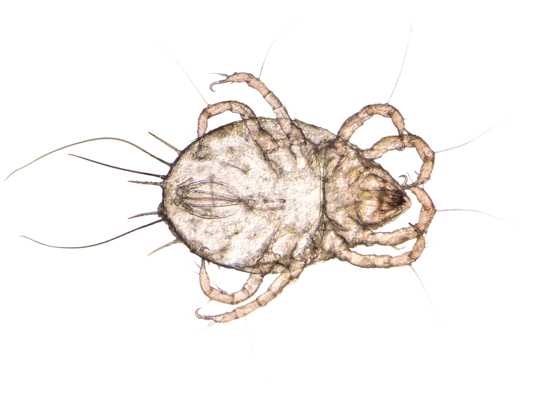 While this may seem extra thorough, mites can survive without a host for up to 9 months. By this time the budget treatment will have long worn off and the new population of mites will be free to re-infest your home. We often encounter companies that have failed to adequately eliminate the source of a mite infestation. New mites will continue to enter and infest your home, unless the rodent, bird or raccoon nest is located and eliminated in conjunction with a thorough insecticidal protection program. If you suspect you have a mite infestation clear and complete information is the first step to getting rid of them. Here are a few facts, myths, and tips that will help you to make a well informed decision about what to do next. Most mites encountered in the GTA are tiny insects that feed on the blood of animals and humans. How do I know if I have a mite infestation? Where do I look for a mite infestation? How did mites get into my home? Mites are able to hibernate for long periods and can be very difficult to eliminate completely. How do I prevent a mite infestation? Being proactive is the key to ensuring an mite-free home and garden. Give us a call today for more information or to schedule same-day mite removal in seconds. Can I prevent a mite infestation on my own? How can Addison help eliminate a mites infestation?